These teams are meeting for the first time this century and it is also the first time that the away team has graced the Euroleague playoffs. Not many people are giving them much hope of progressing beyond this stage of the tournament but this means that the side from Belgrade has absolutely nothing to lose in this match. 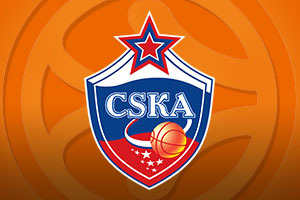 If you are the sort of person that loves statistics, you’ll know that CSKA Moscow are a team to back. They held a 19-5 record in the regular season and playoff and when it comes to Top 16 stats, they came top in six of them. They held a 106.7 score for performance index ranking, they scored an average of 92.8 points per game, they averaged 19.8 assists per game, they drew 24.1 fouls per game and they their two point and three point shooting accuracy was of a high standard too. However, all of this attacking prowess did mean that CSKA gave up more points than any other team, 84.6, so this is something that the team will need to brush up on at the business end of the season. 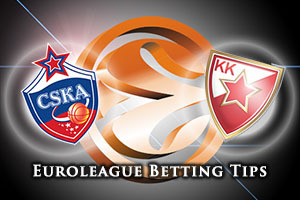 While Crvenza Zvezda will be delighted to have reached the playoff stage of the Euroleague season, they know that they face a very tough task in these games. The Belgrade side have only grabbed an average of 75.2 points per game this season, which isn’t that far off being twenty points less per game than their opponents. Even if the Belgrade are at their best, if the hosts hit close to top form, they should find that this will be enough to put the game beyond doubt. Quincy Miller and Maik Zirbes are the key players when it comes to the away side and if they can rustle up a strong performance on Tuesday night, there may be something for the Belgrade fans to cheer about. The bookies barely believe the team from Belgrade should turn up for this game, but taking CSKA Moscow at -16.5, at odds of 1.90 may provide you with something to hope for. If you are looking for the Over/Under market, look to go OVER 167.5 which is available at odds of 1.90. Bet Now!